A little thin, but it's a nice set for summer. Enhance and improve your bedroom decor with the all new Merit Linens double-brushed 3-Piece duvet cover set. Tailored for a perfect fit and made with the finest imported microfiber yarns for ultimate comfort. This luxury duvet cover set is expertly stitched for durability to last a lifetime and raises the bar for coziness and elegance. 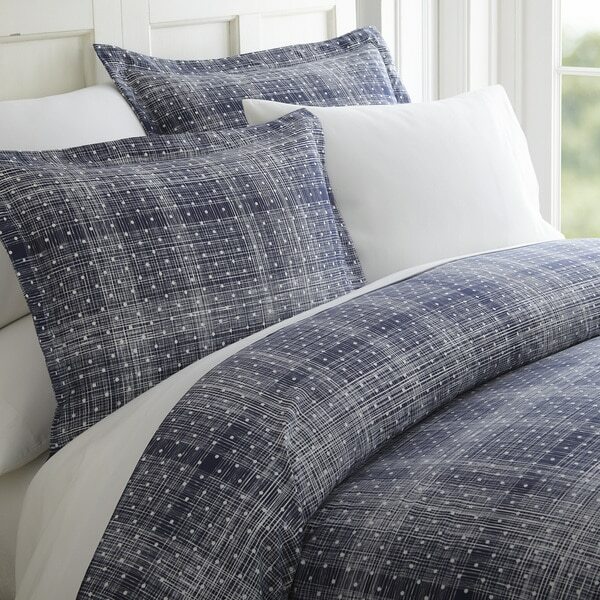 Includes two matching pillow shams to bring elegance to any bedroom. My husband and I love our King size duvet cover. It was easy to place my comforter inside. The duvet is so soft and comfy. We look forward to relaxing in our bed. Love my new Duvet.. I just purchased a New goose down comforter for my king size bed and wanted a Duvet to cover my comforter and look comfortable and modern.. I love it, it was easy to put on with the zipper and the pillow shams fit just right.. You can't beat the quality for this price. Wrinkled resistant. Machine washes and dries easily at home. No hooks or snaps or buttons for insert. Othewise as expected. Pleased with purchase. Was not expecting the qualify I got for the price of this set. The fabric is very nice. This is really pretty. I wanted it for a guest bed that I have. It's replacing a king size cover that I altered to fit a nice queen size down comforter. The zipper is the best part! I hate the buttons on my old one. The photo and even the written description doesn't do this Duvet Set justice ! The material is light, beautiful, soft to the touch, and looks Amazing in my Guest Room. Paired with a set of drapes a couple shades light and the room popped when I put it together ! Needed a duvet cover to fit a large comforter. This was big enough and looks nice on our guest room king bed. The subtle pattern would work with most any decor. Fabric is soft. I washed it prior to using and it is wrinkle free and didn’t shrink or fade. The duvet cover set I got was loved by the person I got it for. Said it was great quality. Very happy!!! The fabric is not stiff and drapes well. Colors on the green/grey are very pretty and not overly bright. I purchased grey euro sham covers to use with the set. Tasteful and elegant set. The bedroom looks trim and neat. The print is fitting for a man's room or woman's boudoir. Soft fabric is easy to wash and keep soft and fresh. Colors are bright and run true to the image on the website. This comforter set makes the bedroom inviting and relaxing. The perfect place to snuggle and read a book or relax with your iPad or phone. Just not what I thought it was. Nice fabric but the gray is more of a greenish-gray color. Zipper closure is nice, seems like it will hold up okay. Just wish it was more true gray! Was looking for inexpensive duvet to change up the look in the bedroom. This did not disappoint! 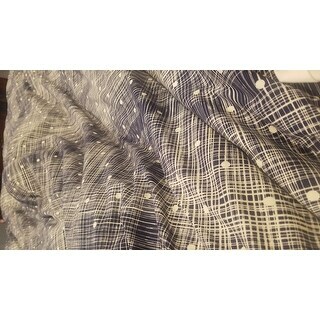 Same fabric as the sheets I ordered at the same time. New comfy bed! Would definitely recommend. I hope these wash well because the fabric is gorgeous. Even nicer than I hoped it would be. It was exactly what I was looking for as far as pattern and it's really soft. The cover is a bit more masculine than I personally like, but it's a really nice looking set. I'm very happy with the purchase! "Is this button or zipper closure ?" This has a zippered closure. "Is the underside white or patterned like the top?" "Are there ties on the corners?" Yes there are ties on each corner of the duvet. Good price just brought on at tjmaxx and will be returning it tomorrow. I was looking for a casual, easy-to-wash cover for my bed. The price is too good to turn down on this one, while the style offers a step up from a plain, solid-colored cover. "What is the quality of the fabric? What was your reason for on giving this item 3 stars? Thank you"
I love everything about the Duvet set. purchased a set for my friend for her bday I know she is going to be so pleased. I also bought the blue polka dot sheets just makes it a complete set. I gave it a 5 star. Have already washed it and still looks good. I was just curious to see if your friend like her duvet and if she is still using it. I have a dog and cat do you feel their fur will be easy to remove from the Fabric?